With an abundance of fun and energy, and over 15 years’ experience, Marky Mark can help you to organise the perfect children’s Christmas disco. Christmas is the time of year for parties, for both adults and children alike. Lots of schools and children’s clubs throw end of term Christmas discos, but these can be harder to organise than they first seem. A few cheesy tunes and organised dance routines, or a half-hearted game of musical statues will no longer cut it. These days, children expect much more from their Christmas parties, so it’s always worth hiring a professional who knows how to entertain a crowd. If you’re based in the South East and are looking to throw a great Christmas disco this year, look no further than Marky Mark – a popular children’s entertainer in Kent. 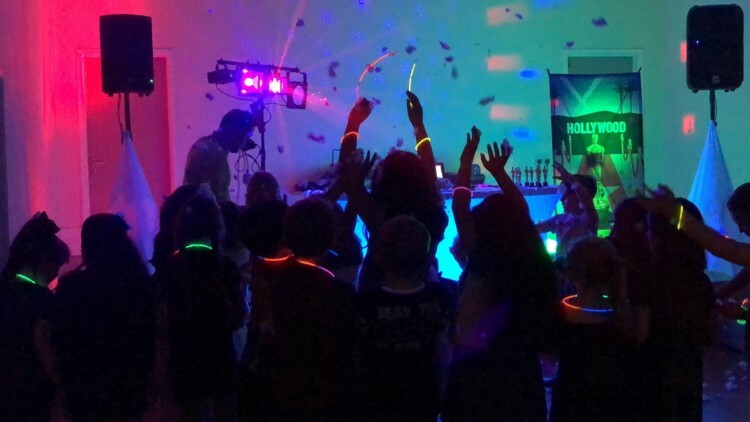 Operating across London, Hertfordshire, Essex and Kent, Marky Mark’s entertainment company provides party services for children of all ages, from toddlers through to teenagers. And with a range of packages including magic shows, discos, karaoke, balloon modelling and party games, Marky Mark really does offer something for everyone. What’s more, Mark and his employees are all fully insured and DBS checked, giving you confidence and peace of mind. As a professional DJ with many years of experience, including DJing at hugely successful kids club nights, Marky Mark is the perfect choice of entertainer for your children’s Christmas disco. With his finger firmly on the pulse of what’s hot and what’s not in the music world, Marky Mark will spin the latest tunes that the kids are listening to in the playground, alongside a mix of classic party tunes and dances – plus the obligatory festive favourites of course! He will also supply state of the art sound equipment – giving you less thing to worry about – as well as creating atmosphere with state-of-the-art lighting and coloured lasers. And the entertainment doesn’t end with the music. Children can get bored easily, but Marky Mark offers an array of fun activities to keep them entertained, including boys vs girls competitions, the mummy game, X Factor, and the big disco dance championships. Even the teachers and chaperones are encouraged to join in the fun. For something really out of the ordinary, you could even opt for one of Marky Mark’s hugely popular UV parties. Aimed at the over-nines, the UV party package combines a traditional disco with UV lights and neon paints to get attendees glowing in the dark. There is also the option to incorporate extras such as party games, bubbles and even a snow machine – perfect for the festive season! No party is complete without those little extra touches that really make an event special. And Marky Mark also has this area covered with fun extras such as candyfloss and popcorn machines, face painting, and custom sweet cones. As it’s Christmas, you might even be able to arrange a visit from the big man himself – and that’s sure to put a smile on the little ones’ faces. Organising a successful Christmas disco isn’t as difficult as you may think. By hiring an experienced children’s entertainer who knows how to work the room, you can throw a fantastic party that the kids will still be talking about well in the new year.